CENTRAL PARK GARDENS TENANTS' ASSOCIATION: What should we raise with Stellar Mgmt. at Oct. 21st meeting? What should we raise with Stellar Mgmt. at Oct. 21st meeting? Laundry rooms: machine breakdowns, cost, money cards not working. 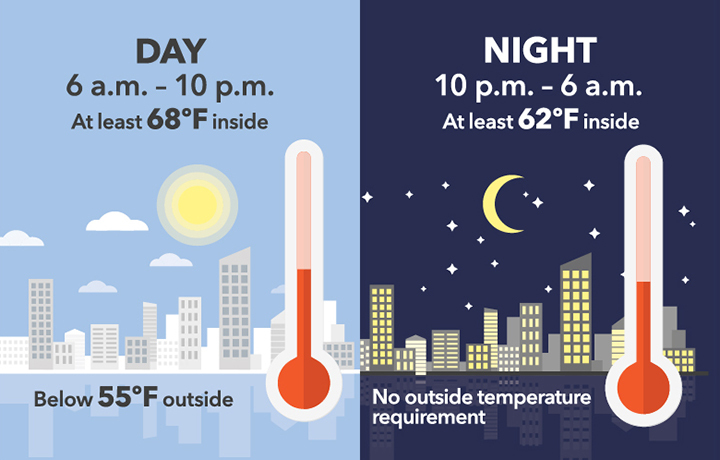 Heat: When it's 55⁰ or colder during the day, it must be at least 68⁰ in your apartment. When it's 40⁰ or colder from 10 PM to 6 AM, it must be at least 55⁰ in your apartment. Plastering: Delays for in-apartment plastering; repeated plasterings over corridor walls damaged by moisture from inadequate venting in showers. Hallway carpets: Need more vacuuming and shampooing. Looking shabby. Water Pressure: It is ok in your shower? sinks? Front Doors: Should be locked when guards attending to work away from the desk. Ramps from side doors to sidewalks: Plastering, leaks, more frequent cleaning (urine smells there and on front terraces outside the trellises). Pebbled Walkways on front terrace: Pebbles end up on walkways, dog leavings. Backyard: Keep old furniture, electronic supplies, refrigerators, etc. away from 2nd floor balconies. Email us for your additions to the list.